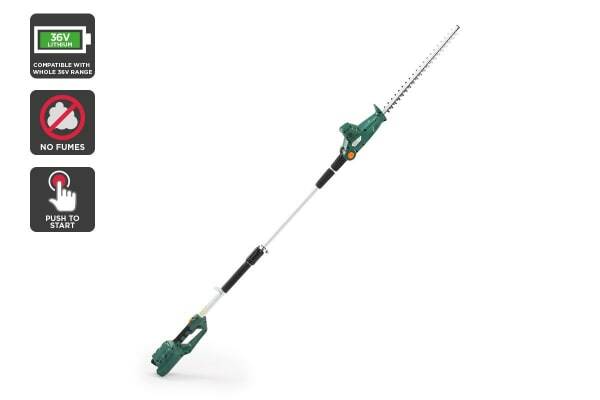 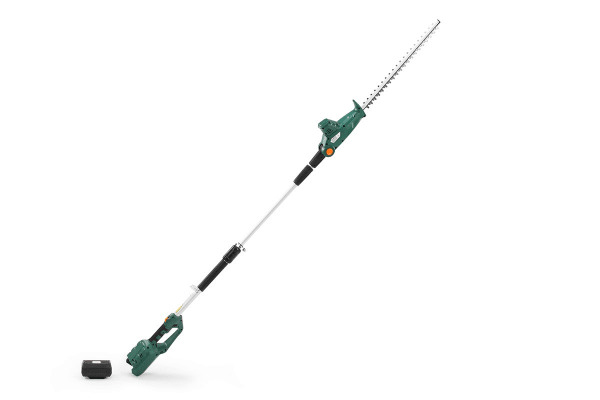 Keep shrubs and hedges in check with this easy-to-use extendable cordless hedge trimmer. 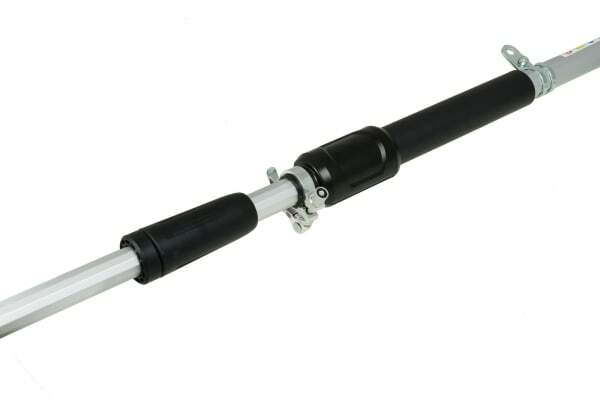 Forget fumes, messy refuelling and miles of extension cords. 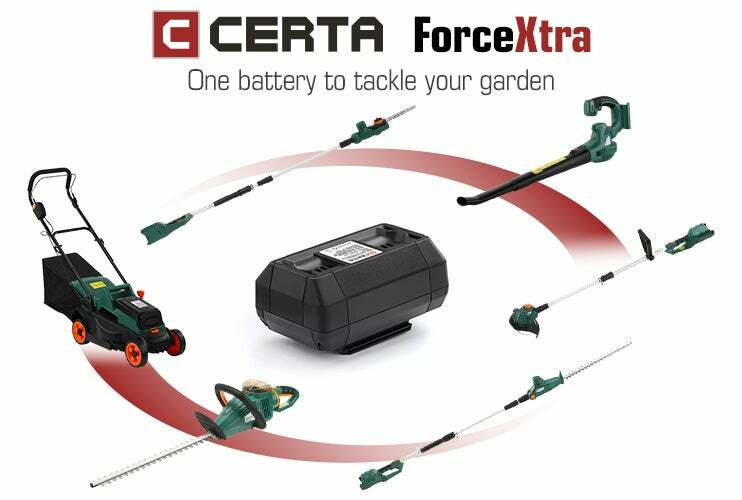 Whip the yard into shape with the battery-powered Certa ForceXtra 36V Hedge Trimmer, tackling even the highest hedges with its adjustable telescopic pole, five head positions and double action two-sided blades.